So many to choose from...but I am dying to read Anna Dressed In Blood by Kendare Blake. I'm a huge fan of Michael Grant's books and he just wrote a new series and the first book BZRK comes out at the end of February and that is the book I am dying to read! Love your contest (and your blog header, lol!) Next realy want to read isLegend by Marie Lu. Er, and ARTICLE 5...ANNA DRESSED IN BLOOD. Gads, having one of those days, can't decide! And--LOVE Lisa McMann. Thanks for the giveaway. So many! I'll go with The unbecoming of mara dyer. I am so brain dead due to work this week. I can't even think of what I might read next. I'd like to read, "The Girl With the Dragon Tattoo." I really want to read... ooh Last Breath by Rachel Caine.. and so many more! I can't wait to read Daughter of Smoke and Bone. As I'm reading my current book, I'm always looking forward to the next one I choose. The problem is deciding. Right now, I'm looking forward to reading CREEP. I really want to read I've Got Your Number by Sophie Kinsella. Ms. Kinsella's novels are just hilarious! I can't wait to read Until I Die by Amy Plum. I really want to read The Golden Lily next. I can't wait. Thanks for this great giveaway! I can't wait to read If I Die by Amy Plum:) Thanks for the giveaway! I really want to read Cinnamon Roll Murder by Joanne Fluke and Herald of Death by Kate Kingsbury. Next I'll be reading the latest cookie-cutter mystery by Virginia Lowell. I also want to read the next Laura Childs book (tea shop mystery) that's coming out soon. 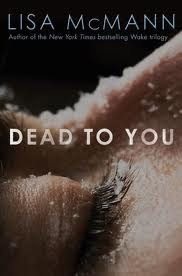 Oh my gosh, I've been pining for Dead to You! 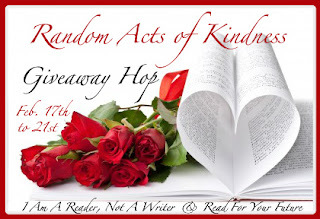 I wrote about it in one of my "Waiting on Wednesday" posts, LOL! I can't wait to read Wither. Fever, the second in the series, just came out but I need to read Wither before I can get to it! !